We can see that Google has targeted all of South-Central Austin down to William Cannon Drive. This is not too surprising as that area boasts condos, apartment complexes and a large number of homes on very small lots (i.e., greater population density). The covered area north of Hwy 71 / 290 is also rich with a growing array of businesses including boutique firms seeking locations close to downtown -- prime candidates for fiber customers. A residential area southeast of William Cannon and I-35 is also included. It's hard to say why that area was included and not the area immediately north of it (north of Onion Creek and Williamson Creek). Both areas have similar home densities, both boast similar socio-economic levels, both include exactly four public schools, etc. What isn't shown on Google's coverage map are various apartments and condos that have already "signed up" for fiber access. It isn't yet clear on whether "signed up" locations outside of the coverage map will also get fiber access right away. You can see a map and list of "signed up" locations here. Don't live in an apartment? 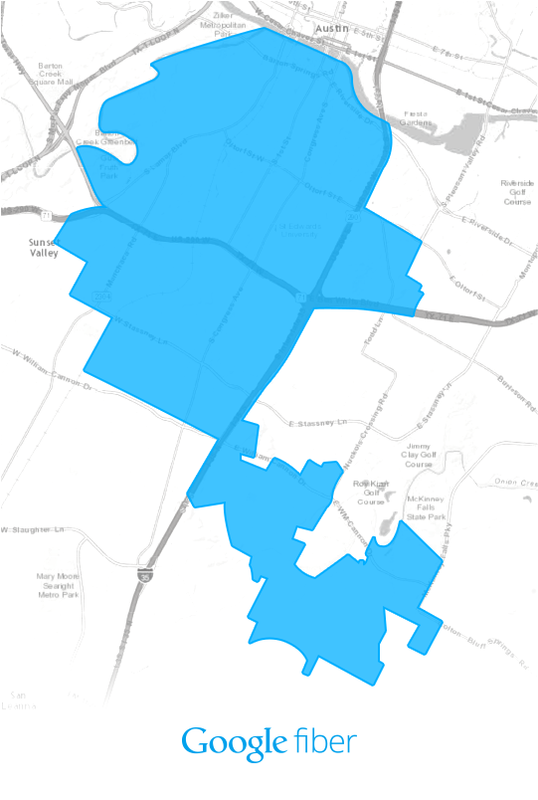 Sign up here to indicate your interest and get notified when fiber reaches your part of Austin. It's worth noting that the initial Google-fiber area is located immediately west of Austin's onramp to the Internet (where the "Internet backbone" connects with Austin) and Austin's top-tier computer hosting and colocation facilities. If you're dissapointed that Google isn't kicking things off in your own "high population density" part of Austin, this could be why. 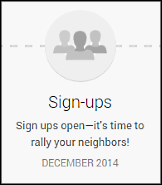 Google will begin accepting signups in December. There isn't a designated signup page, yet, so just check in on Google Fiber's Austin page here.